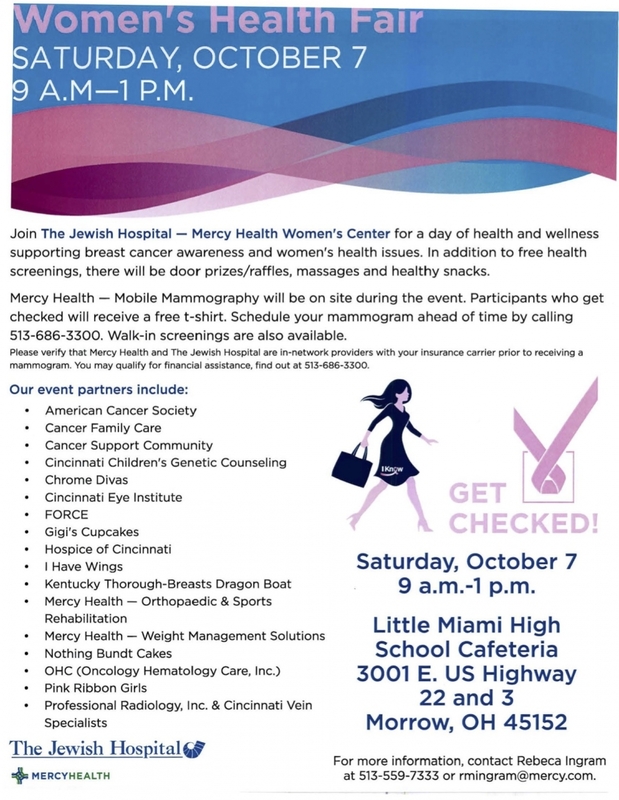 Join Jewish Hospital-Mercy Health Women's Center for a day of health and wellness at the Women's Health Fair on Saturday, Oct. 7 from 9 a.m. to 1 p.m. at Little Miami High School. In addition to free health screenings, there will be door prizes/raffles, massages and healthy snacks. 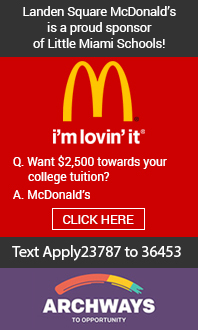 See the flier for more information.